The Smart TVs come with everything in the market. There are several options of models, features and manufacturers. To help you in the task of choosing in which to invest, we have prepared a comparison between the Samsung and Philips, two of the best known brands and popular manufacturers in the market today. Check out the pros and cons of services and set in your choice. Both smart TVs from Samsung as those of Philips appeal by design, usually understated and sophisticated. The manufacturers invest in improvements and innovations in the category, such as devices with curved screens. Philips also invests in issues such as thin front edge, differentiating the most market television sets, which have a thicker front edge. 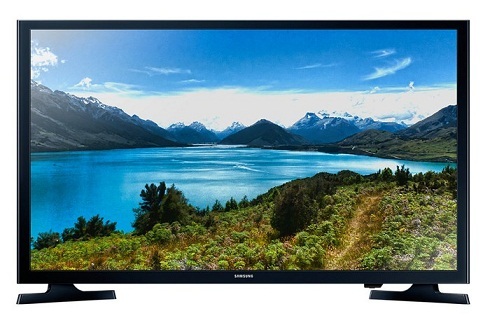 Smart TVs of the two manufacturers offer great quality picture and sound. Both brands have Full HD resolution with top models, Ultra HD and 3D options, and several image enhancing features. Both the Samsung handsets as the Philips have segmented lighting regulation and a special technology to minimize blurring for movement. They also have high quality sound with multi-surround to create a more immersive and exciting experience for the user. Both the Philips and Samsung Smart TVs offer models with high performance and low power consumption as well as energy-saving features, eg, sleep timer, sleep mode and light sensor. In stand by, models of both brands consume less than 0.5 W.
Both brands have several features to enhance the user experience. Wi-Fi technology, Smart View to connect TV, devices and content. Both also offer integration with Skype using the integrated TV camera, in addition to photo sharing, intelligent control and more. But despite the two brands present many features, Philips comes out a little in front of the competitor in that category. One of the main differences in functionality of the Smart manufacturer of TVs is the technology Ambilight , lighting system that projects colored lights on the wall around the unit. Philips also part of the Smart TV Alliance, an alliance created between manufacturers as TP Vision, which manufactures brand products, as well as Toshiba and LG, which has the support of Panasonic, IBM and Dolby. The partnership aims to create applications for Smart TVs of all participating companies. This is an advantage of Philips on Samsung, as the alliance brings benefits in their functionality. Smart TVs both brands are easy to find in the market. However, during the research, it was revealed availability and much greater variety of models from Samsung than Philips. Samsung's TVs also come in the item price, since they have more options models, compared to Philips. After reviewing models from Samsung and Philips, it is difficult to choose a clear winner in the current completion. If Philips has more features, it is Samsung presents the best cost-benefit. Anyway, the two have top of the line models with high quality picture and sound and a host of features to ensure a good user experience. The decision ends up being personal taste, and, regardless of which manufacturer you choose, you will be with a good Smart TV in your home.